It is only when we recognize how desperate our situation is from the legal standpoint that we can begin to understand the biblical doctrine of justification. Justification is central to the Christian gospel because it answers the fundamental question: How can a sinful human being be righteous before a holy God? What does it mean to be justified? Humanity is in a desperate state; our sins separate us from the holy God. To be justified through Christ means we are covered in his righteousness and God no longer looks on us as guilty sinners. 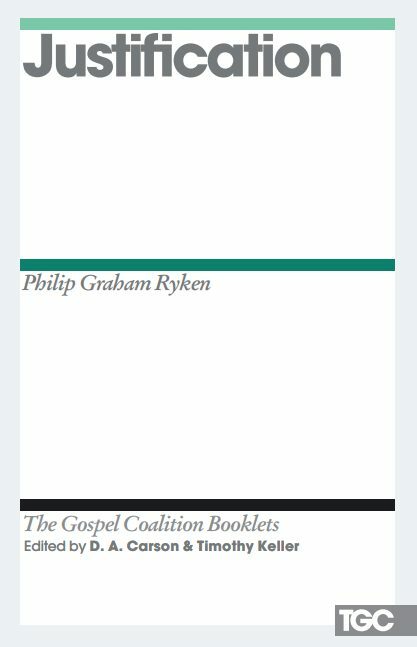 In this joyous action there is a depth of meaning and theology, and in this new booklet from the Gospel Coalition Philip Ryken directs us to the Bible’s rich teaching on the subject. He begins with our need for justification as found in the opening chapters of Romans and moves on from there, covering the source of justification, the basis for justification, and the place of imputation in justification. This booklet makes for an accessible introduction to this central doctrine. Justification offers a thoughtful explanation for point 8 of the Gospel Coalition’s Confessional Statement. The coalition is an evangelical renewal movement dedicated to a Scripture-based reformation of ministry practices.